Marriage symbolises the pure bond of love and union between a man and woman and a mangalsutra represents strength of the relationship. A traditional bridal ornament for women, a mangalsutra holds an important place in a wedding. 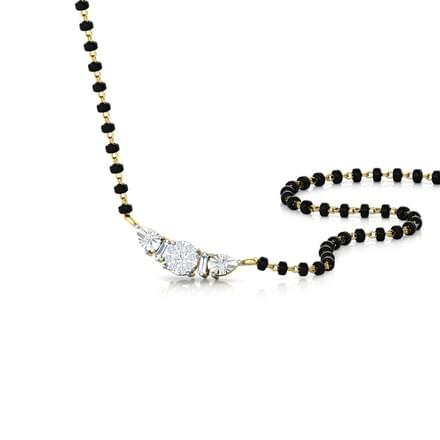 A stylish diamond mangalsutra has taken over the traditional black bead mangalsutra over time and has become every bride’s favourite as well. 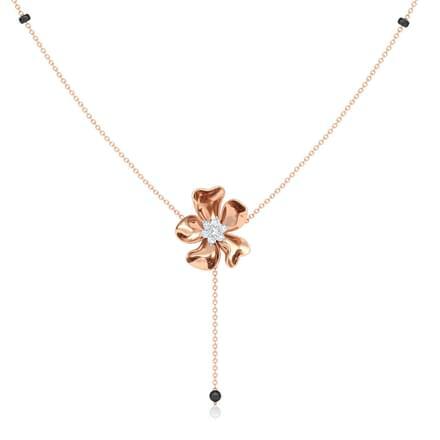 CaratLane has created an exclusive diamond jewellery range with unique diamond mangalsutra designs with price enlisted online. 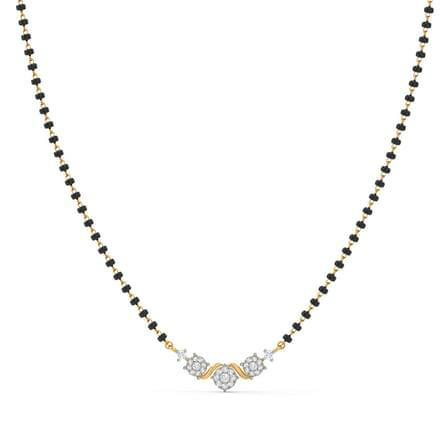 With more than 100 extraordinary diamond mangalsutra designs to choose from, CaratLane has a vast collection. 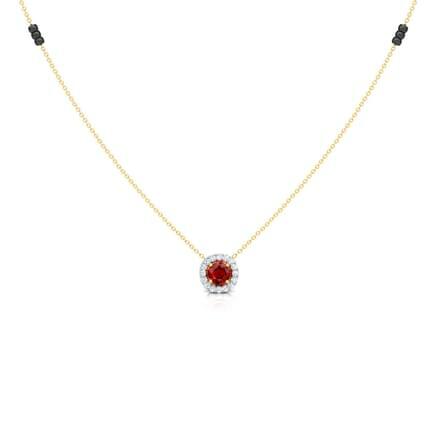 The diamond mangalsutra for women are available at a price range between Rs. 20,000 and Rs. 2,00,000, which are set in yellow gold, white gold and rose gold and triple tone gold variants. 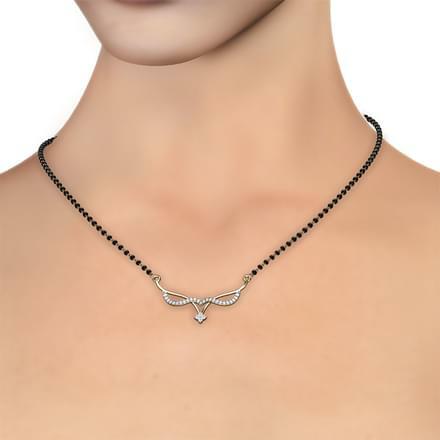 There are diamond mangalsutra pendants for everyday wear and evening wear both, with endless patterns based on Classic, Contemporary, Traditional and Cluster themes. 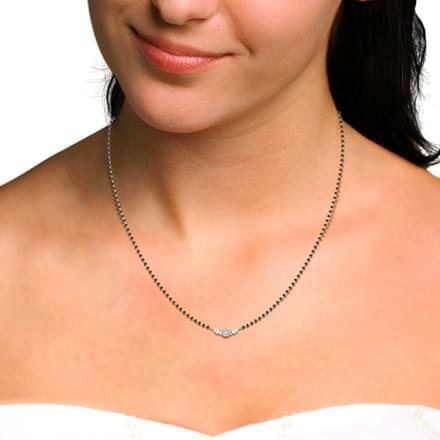 Mangalsutras being a classic form of jewellery for women makes for a great ornament for evening wear. 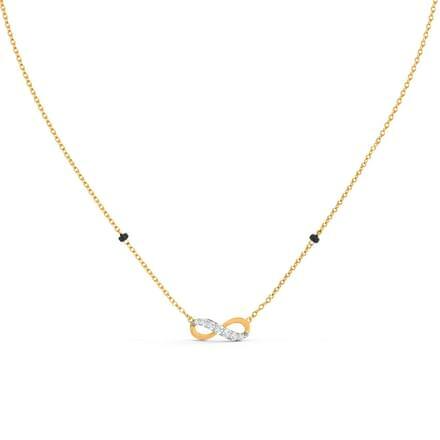 Check out CaratLane’s mangalsutra diamond set for special occasions. 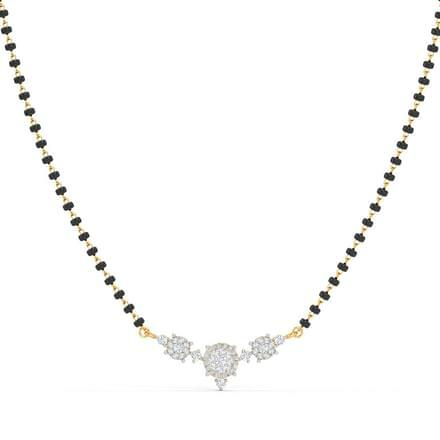 CaratLane's diamond mangalsutra with gemstones such as the Lekha Mangalsutra and the Kusuma Mangalsutra, set in 18 Kt Yellow Gold are spectacular pieces of diamond jewellery for women. The Payal Mangalsutra and the Tanaya Mangalsutra by CaratLane, both set in 18 Kt Yellow Gold are interesting diamond mangalsutra designs. 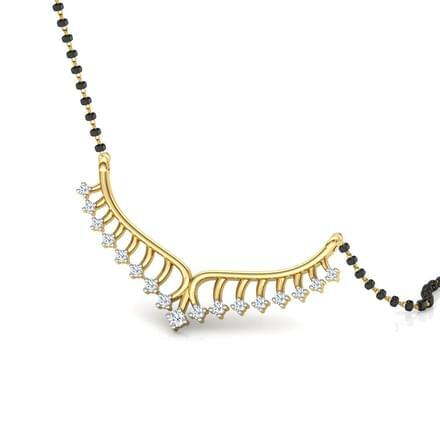 Traditional patterns of a diamond mangalsutra are every woman’s favourite and shall remain so. Paired with ethnic attire, traditional diamond mangalsutra is a perfect match. 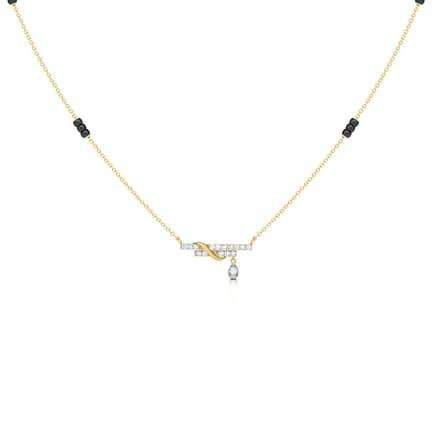 The Uschita Twining Mangalsutra or the Ajaya V-Shaped Mangalsutra, both set in 18 Kt Yellow Gold are intricate patterns of mangalsutra for women. 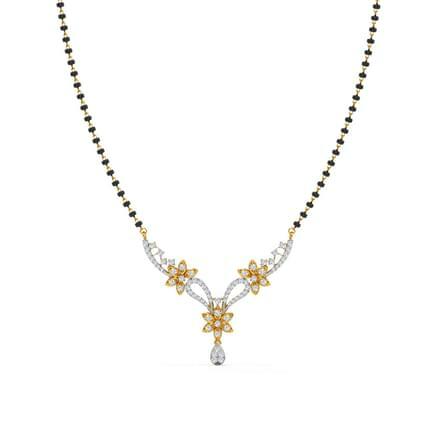 The Adsila Floral Mangalsutra by CaratLane, set in 18 Kt Yellow Gold is a delicate design of floral inspired diamond magalsutra for women. 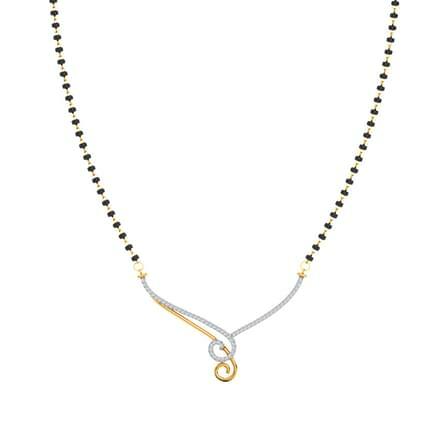 Diamond mangalsutra set in white gold and rose gold are a modern take on the traditional yellow gold mangalsutras. Try the stunning patterns by CaratLane. 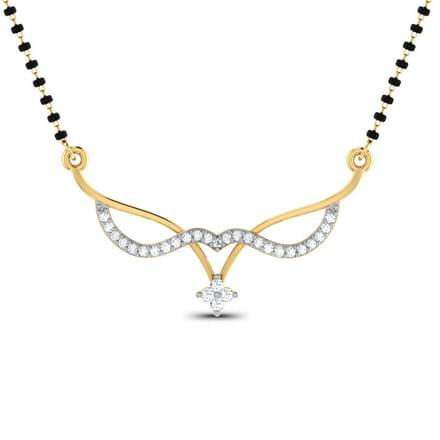 The interesting loop patterns of the Arushi Mangalsutra and the Bianca Mangalsutra, both set in 14 Kt Rose Gold are sleek diamond mangalsutra for women. 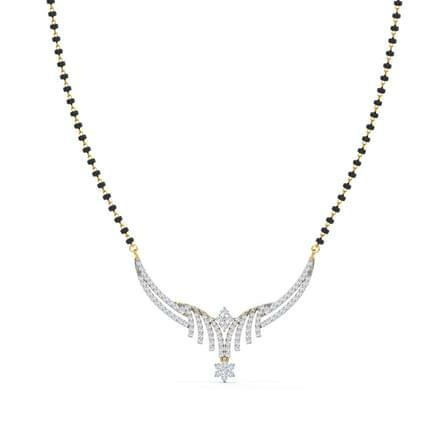 Sizzle in diamond mangalsutra set in white gold as evening wear. The Huyana Star Drop Mangalsutra and the Sila Garland diamond mangalsutra, both set in 18 Kt White Gold are beautifully crafted jewellery. 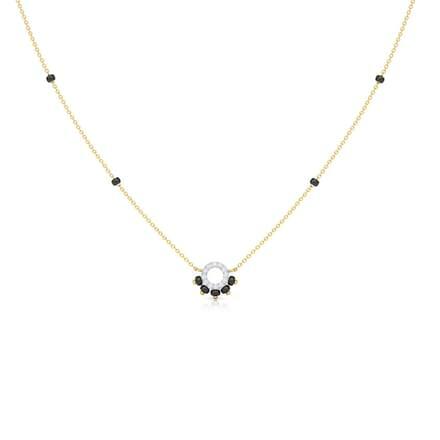 Cluster themed diamond mangalsutra is another shimmering design of women’s necklaces. 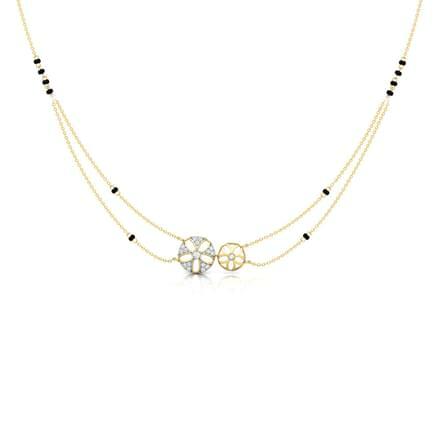 Diamond clusters in a necklace make even a simple dress stand out in a crowd. The Yogita Mangalsutra and the Ruhi Mangalsutra, both set in 18 Kt Yellow Gold are classic examples of cluster diamond mangalsutra. 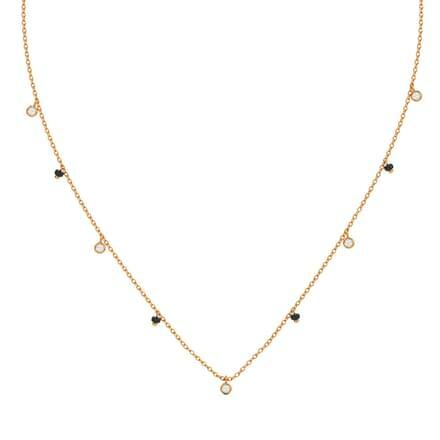 The Devika Mangalsutra, set in 18 Kt Three Tone Gold is an innovative and exciting model of a diamond mangalsutra. 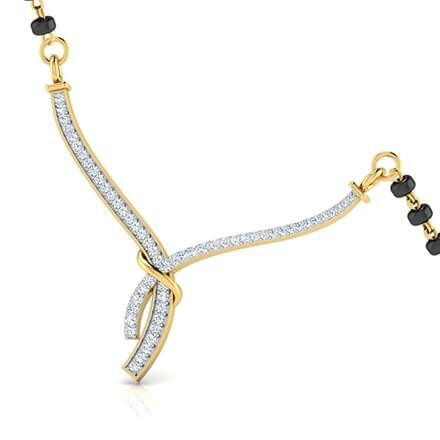 Contemporary designs of diamond mangalsutra are exciting fashionable patterns for women, especially for working women. Sleek designs such as the Uma diamond mangalsutra and the Advika Miracle Plate diamond mangalsutra, set in 18 Kt Yellow Gold are perfect for young professional women and can be	paired with western and traditional attire both. 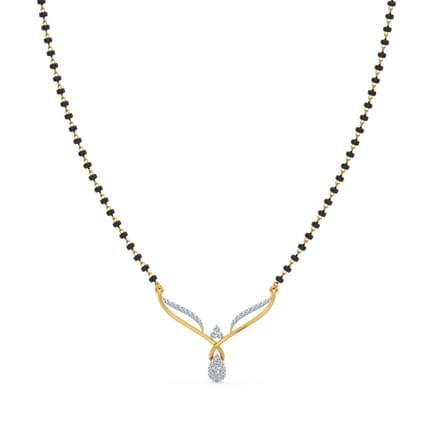 Intricately crafted diamond mangalsutra by CaratLane such as the Laksha Mangalsutra or the Riddhi Mangalsutra, both set in 18 Kt Yellow Gold are outstanding designs of diamond jewellery. 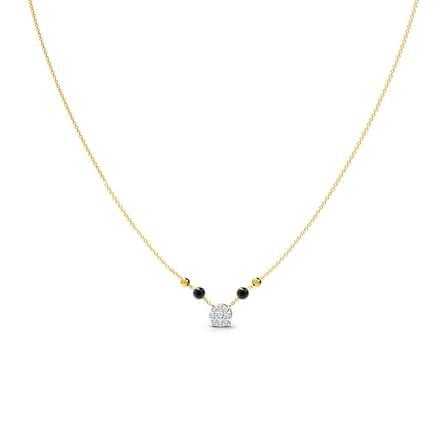 Pick your Diamond Mangalsutra from CaratLane! 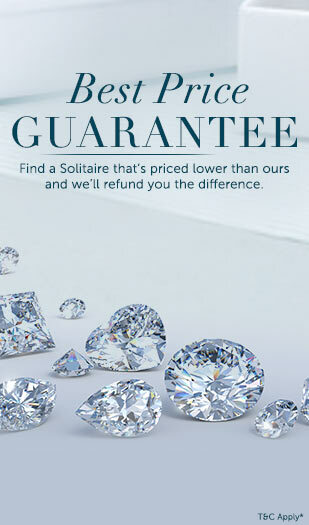 CaratLane delivers the best quality of certified diamond jewellery, made available online. With suitable pricing and exquisite designs, customers can enjoy a hassle-free and enjoyable online shopping experience. It also offers a 30-day free return and a lifetime exchange options for its customers.